The adidas NMD “Olive Camo” is the latest colorway of the adidas NMD to release that will debut alongside the “Red Camo” version later this month. 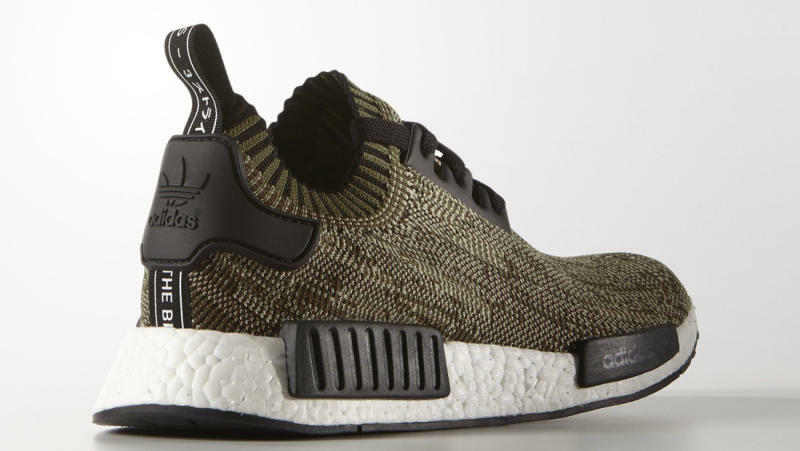 This adidas NMD release sports a full Olive Cargo and Black color scheme that features a full Primeknit-based upper that sits atop a full White Boost midsole and rubber Black outsole. Check out the official images below and look for the adidas NMD_R1 “Olive Camo” to release alongside the “Red Camo” edition on March 23rd, 2016 at select adidas Originals retail stores. The retail price tag is set at $170 USD.